How Do Consumers Feel About Credit Unions? Banks safeguard our collective wealth, and they provide a range of services and products that all of us need. However, these roles are not exclusive to banks. 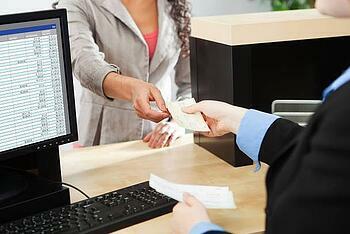 For example, credit unions provide many of the same services. First, it’s important to understand the purpose of a credit union. Although they serve many of the same functions as banks, their roles and composition are quite different. A credit union is essentially a nonprofit co-op that provides a range of financial services (such as deposits, withdrawals, loans, etc.). This means anyone who joins a local credit union becomes both a customer and part owner. As such, you share in some of the net revenues generated from the credit union’s activities. This is a far cry from the profits that banks routinely collect. This makes predatory lending harder — although not impossible. Moreover, credit unions are typically smaller. Although this doesn’t automatically guarantee better customer service, the two often go hand in hand. On the surface, credit unions appear to be trustworthy, almost by design. But how do consumers really feel about them? There aren’t many national polls or surveys that outline how U.S. consumers truly feel about credit unions. But based on the points above, it certainly seems like they’re transparent and trustworthy. Were also responsible for the 2008 crisis. With so much money to be made, predatory lending was rampant nationwide. Typically charge lower fees than their bank counterparts, but credit unions also have limited ATM coverage. Therefore, the chances of paying out-of-network fees are considerably higher. Tend to have fewer rewards, features or perks. This comes down to scalability. Smaller players simply can’t compete when it comes to benefits. Traditional banks capture the other 55 percent. To join a credit union, you often have to be part of a company, group or organization. These restrictive membership guidelines could be responsible for keeping enrollment numbers artificially low. Credit unions can’t match the marketing budgets of larger banks. Thus, fewer Americans are familiar with the benefits of credit unions. But this is changing. For example, credit unions nearly doubled their assets in the wake of the 2008 financial crisis. And total enrollment grew from 83 million customers to over 100 million. Moreover, many credit unions are lifting their membership restrictions in an effort to attract more customers. It’s quite possible that Americans will increasingly abandon major banks in favor of smaller and more transparent credit unions. Joining ATM networks so your users can avoid paying exorbitant fees whenever they withdraw money. Eliminating membership criteria so that anyone in the local community can join your credit union. Emphasizing the personalized attention that members receive. Even with the largest budgets in the world, banks can’t compete when it comes to customer support. Finally, consider adding more features, perks and benefits. Doing so can sometimes be challenging — both economically and technologically — but will definitely increase your membership and your revenues.